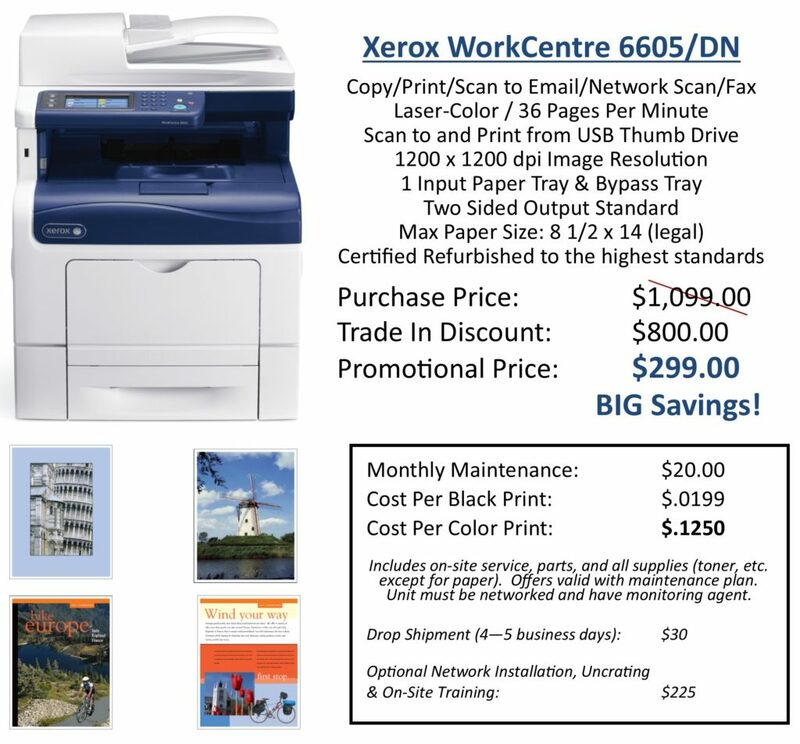 Exchange your current printer for a Xerox WorkCentre 6605 and receive a high quality, affordable color multifunction printer and a BIG discount! The 4.3 inch touch screen user interface is perfect for scanning and other applications. These certified refurbished models are brought to the highest industry standards. They arrive looking like new! This promotional trade in offer ends 8/31/16! For additional information and an overview video of the Xerox WorkCentre 6605, click here.